The Brother HL1070 is a single-functional monochrome printer that utilizes laser technology. It is ideal to use for small offices and workgroups. The printer dimensions are 15.8 x 17.3 x 10.8 inches. It is not easily portable as it is quite heavy with the weight of 9.6 kg. The printing resolution is 1200 x 600 dpi and the maximum print speeds are up to 10 ppm.The monthly duty cycle is up to 2400 when Brother HL1070 Toner Cartridges are used with it. The total media paper capacity is 400 pages and the first page comes out in less than 15 seconds. For the processing of data, a 2MB of standard memory is provided. It also a has support for parallel and USB interface for connectivity and it features wired technology. With Brother HL1070 Toner Cartridges, the print quality is sharp and clear. The media load type is automatic and capacity is 200 sheets. 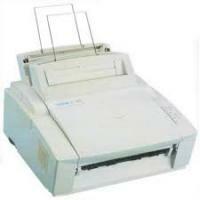 It uses unique Straight Paper Path Technology that ensures smooth, wrinkle-free printing on a wide range of media types. It also supports different media types such as envelopes, labels, plain paper, and transparencies. For the small offices or business workgroups, that requires only black and white printing, the Brother HL 1070 is a good option to select. It uses laser technology for printing. It can be connected using either USB or parallel interface. But the printer lacks multi functional operations as it is only able to print and the print speed is below average. Q. I'm planning to purchase a Brother HL1070 printer for home. I'd like to know a little about its printing functions and whether compatible Brother HL1070 toner cartridges will help me print sharp and vivid documents with it. A. The Brother HL1070 printer model is reputed for printing documents very smoothly and efficiently courtesy features like its media load type, which is automatic, and a capacity of 200 sheets. It prints with its special Straight Paper Path Technology which creates fine, wrinkle-free documents on a wide range of media types such as plain paper, envelopes, labels and transparencies. Compatible Brother HL1070 toner cartridges will be the perfect choice for you to print best quality documents with this printer for you. Q. Are compatible Brother HL1070 toner cartridges offered by you tested for quality and come with guarantee? A. Yes, all our cartridges quality assured and fully tested and packed for sale only after that. Q. I've been using original Brother HL1070 toner cartridges but it's becoming very expensive of late. If I switch over to compatible toner cartridges (which I know will reduce costs), will the quality of output decline since they are not original? A. Compatible toner cartridges are at par with the original ones in every way. The fact that more number of people have started using compatible cartridges is proof of that. Compatible cartridges print as well as the original ones and also cut down costs while giving the same quality and performance, so they are perfectly suited to your needs. Q. Do you use best quality toner and components in compatible toner cartridges, including in Brother HL1070 toner cartridges or are they meant only for original cartridges? A. We use finest quality toner and components in our compatible toner cartridges, which is evident in the top quality printed output it yields. That’s why the output of compatible toner cartridges print is as good as that of original ones even though they cost lesser.